Guests staying in a Club Level room at either Disney's Yacht & Beach Club Resort or Disney's BoardWalk Resort can now take a Minnie Van to Orlando International Airport. resort, up to one day before departure. 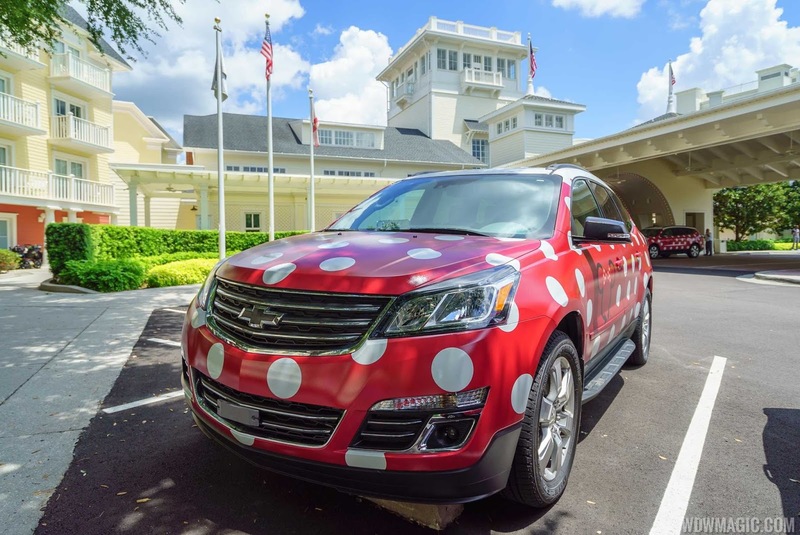 The cost is $150, and is one way only, from the Disney hotel to Orlando International Airport. Airport Minnie Van Service can carry 6 passengers and up to 3 car seats for guests under the age of 6. The service is available for airline flight departures from 9:00 AM to midnight, and Disney recommends using the Resort Airline Check-In Service alongside Minnie Van Service. The Magic Kingdom's nighttime firework spectacular 'Happily Ever After' has moved to a new time slot for the first quarter of this year. Beginning January 28 through to March 10, 2018, 'Happily Ever After' will now take place at the rather unusual start time of 7:55 PM. The previously published showtime was at 8:00 PM. Showtimes for two of the nighttime shows at Disney's Hollywood Studios are changing from previously published times for the first quarter of 2018. Star Wars A Galactic Spectacular will now begin at 8:15 PM, from its previous 8pm start time. With Fantasmic! 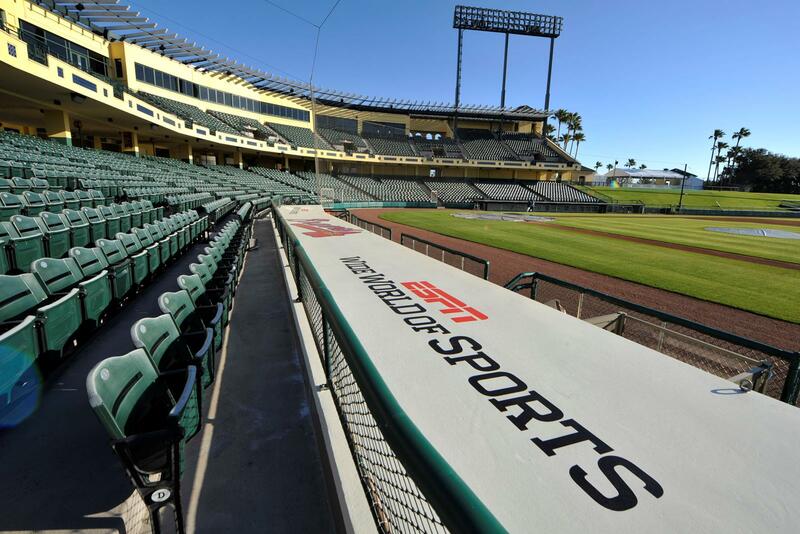 beginning at 7:00 PM, this should give guests time to see both shows. The Star Wars: Galactic Nights ticketed event will return to Disney's Hollywood Studios on May 27 2018. Tickets are not yet on sale, but expect pricing and the offering to be similar to previous events. Star Wars: Galactic Nights is a Star Wars-themed event held after park hours from 7 p.m.-midnight. It celebrates the entire Star Wars saga with special entertainment, special photo opportunities, event-exclusive merchandise and F&B, and encounters with rarely seen characters that guests can only experience during Star Wars: Galactic Nights. Celebrating the 65th anniversary of the Peter Pan movie, Captain Hook and Mr Smee will appearing for a limited time at the Magic Kingdom. Beginning February 4 through to February 10, 2018, the duo will appear for meet and greets in Fantasyland intermittently from 9:00 AM to 6:15 PM, with PhotoPass on-hand to capture the moment. PhotoPass will also be offering special Magic Shots, including a shot with Peter Pan's shadow, an the addition of your very own fairy wings. Disney has now made its My Disney Experience Mobile Order available to guests using the Disney Dining Plan. Mobile Order allows you to pay for meals on-the-go within the My Disney Experience app, bypassing the queue to order at the restaurant. Using the app, you can select menu items, customize an order and pre-pay for a meal. Arriving at the restaurant, you tap an “I’m here” button in the app, which will notify the kitchen to prepare the meal. When ready, you'll be alerted through the app to pick up the meal at a designated window. Until today, Mobile Order was only accepted Credit Card payments. All three Disney dining plans are available with Mobile Order: Disney Quick-Service Dining Plan, the Disney Dining Plan and Quick-Service, Regular and the Disney Deluxe Dining Plan. Watch the video below from Disney Parks for more details. 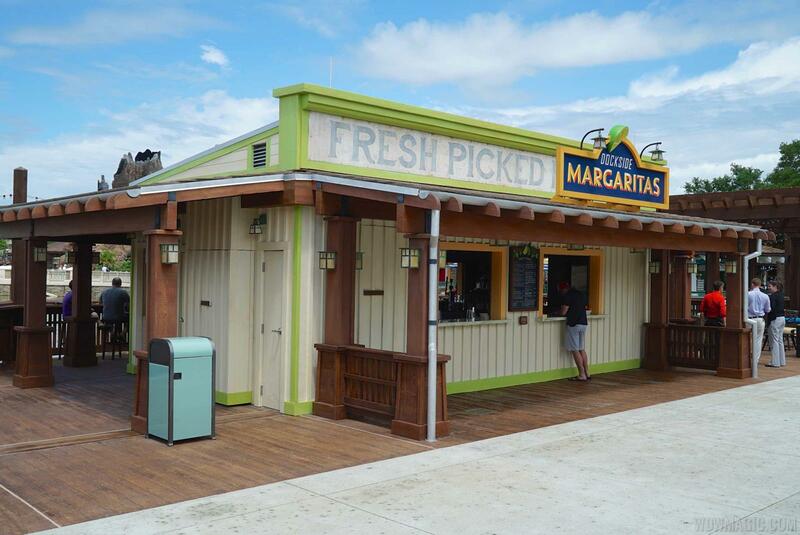 Dockside Margaritas in the Marketplace at Disney Springs is now serving a selection of food served up by the nearby Fantasy Fare Food Truck. Parked near to Basin, Fantasy Fare has a new menu with Picadillo Beef Empanadas, Ceviche Tacos, Chicken Taquitos and Mexican Meatballs Sliders. Although the new menu can be ordered from Dockside Margaritas, you can still walk up to the Fantasy Fare Food Truck and order the same items. The Food Truck is serving weekdays 5:00 PM to 10:00 PM, and weekends 1:00 PM to 10:00 PM. Beginning February 4, José and Panchito will join in the Discovery Island Carnivale at Disney's Animal Kingdom. The dance party features music from the Viva Gaia Street Band and takes place nightly through May 5, 2018. Enzo's Hideaway at Disney Springs will begin its 'Smuggler's Series' this month with a Classic Malt Whisky Tasting event. Taking place on February 8, 2018 from 5pm to 7pm, guests will enjoy a tasting of six prestigious Diageo Classic Malts Whiskies paired with a meat and cheese plate. The event will be hosted by Ewan Morgan, the National Director of Diageo's Reserve Program, a third generation 'whisky man' and one of the most knowledgeable whisky resources in the industry. He will use Classic Malts Tasting Mats to give us a tour of six famous Scottish distilleries. Added bonus: a very rare and unique whisky has been added as a 7th tasting, quite possibly a spirit from Enzo’s reserves that few people have ever seen! This first event can only be attended by winning a ticket - enter now! Must be 21 years or older to enter. Contest winners will be announced and contacted via email February 5. Travel expenses to and from Enzo’s Hideaway for this tasting are not included. Super Heroes take over the America Gardens Theatre at Epcot this summer with a Guardians of the Galaxy Dance Party. Star-Lord and Gamora from the Guardians of the Galaxy will join an alien band, taking guests on a journey through the cosmos. The party will feature hits from Awesome Mix Tapes 1 and 2 – fun and favorite tunes from the two movies' soundtracks – building the anticipation for a new Epcot Guardians of the Galaxy attraction. The party gets started Memorial Day Weekend - May 25, 2018. The Magic Kingdom's Tomorrowland is debuting new entertainment offerings, with new experiences beginning this summer. Disney has revealed the name of the new show at Disney's Animal Kingdom to replace Flights of Wonder. 'Adventurers Meet UP! A Great Bird Adventure' will offer guests the chance to see Senior Wilderness Explorer Russell and his furry friend Dug as they discover species of birds from around the world in their newest adventure at the Caravan Theater in Anandapur village. There will be “UP” close encounters each day with amazing winged creatures! Opening is planned to be in time for the park's 20th anniversary on April 22, 2018.